Copa America 2019 Fixtures, Schedule, Teams, Matches [Download PDF]: One of the Most popular and thrilling events of football of the South America Region Copa America 2019 is all set for Its 46th Edition in Brazil. Brazil is the host of the this year’s Copa America 2019 tournament. Copa America Brazil 2019 is scheduled to be played from of 14th June to 7th of July across the Six stadiums that cover within Five cities of host country Brasil. Brazil has also Recently hosted the 2014 FIFA world cup too. In this 2019 Copa America Season, there would be 12 national football teams which will compete for the title and Chilean side is the defending champion of title in the tournament. Chile has the chance to make a hattrick this time as they are the winner both previous leagues of Copa America 2015 and Copa America 2016. Argentina, Bolivia, Colombia, Ecuador, Japan, Paraguay, Peru, Qatar, Uruguay, and Venezuela are the other ten playing teams of Copa America 2019 fixtures apart from hosting country Brazil and also title defenders Chile. Copa America Brasil 2019 and its promotional video has already been officially launched. The South American Football Confederation (Conmebol), through its social networks (Facebook and Twitter), released the images that show what will be the official Copa America 2019 logo. The drawing shows the colors of the host’s flag, as well as the representation of some fans celebrating the tournament. Talking About the structure and the fancy design of logo, Fans are not too fascinated with the design and it can be because it reminds them of Brazil’s 2014 logo, which Brazil never had before in the history. In the symbol of the logo, there is a Vector Copa America Trophy, Surrounded by the Colorful vibrations. Colors of the Copa America Logo very are similar to the Brazilian flag (green, yellow, blue). Originally the Copa America 2019 fixtures were scheduled to be hosted by the nation Chile but due to CONMEBOL’s rotation policy of frequent events hosting in alphabetical order, due to the organization of the FIFA Confederations Cup 2013, 2014 FIFA World Cup, and also the 2016 Summer Olympics in that country, Brazil Opted to host the Copa América 2015 season. Brazil and Chile’s Football Federations discussed the idea of swapping the order of hosting the Copa America 2015 and Copa America 2019 championships tournament. This agreement was then approved by CONMEBOL Association in the year 2012 and both countries agreed to follow the Rule. The Copa America 2019 is decided to be the final edition to be played on odd years and with just 12 teams participating to compete. Starting with the year 2020, the tournament will going to be held in the same year as similar tournaments such as the UEFA European Championship and will be having 16 teams to compete. This will raise the thrilling level of the league and fans would get more fun with a long series of matches and more team participating. It is going to be the last occasion when a Copa America championship league be played during the odd year 2019. From now Onward it will be held in even years and to be hosted in the same year that of UEFA European Championship League.read further to get more details of 2019 Copa America fixtures, Schedule, Matches List and Draw matches. 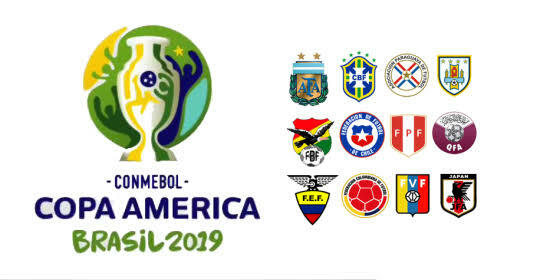 Copa America 2019 Brazil Teams There are total 12 playing national soccer teams in the 46th Copa America 2019 in which 10 are already CONMEBOL national teams meanwhile two are invited from Asian Football Federation (AFC). This is going to be the first time ever in the history of Copa America when a country other than a CONMEBOL team will be playing under the special league of Copa America 2019. meanwhile, Japan will also be featuring in the Copa America 2019 after a long Period of time since the year of 1999 when they first appeared in the Copa America Tournament. Also, it is the first occasion when there exist no CONCACAF team participation in Copa America league. Chile football team is the title-defending champion in 46th Copa America. 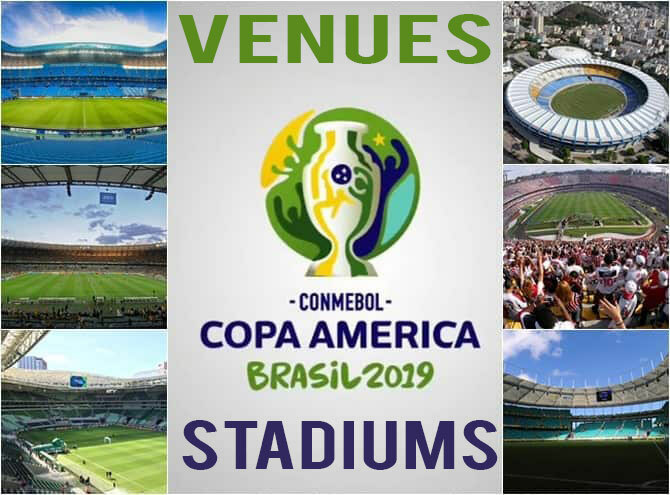 For upcoming Football tournament of Copa America 2019, total 10 Venues are selected check out below the list of stadium picked for the 2019 Copa America football competition. The Copa America 2019 Fixtures are made based on the popularity and the long rivalry between two team. This will help in raising the audience base and also boost up the thrill of the league. Brazil will fight on team Bolivia in the first and Opening Match of the copa america Events on Copa America 2019 on 14th June. Complete fixtures List of this American football events was officially confirmed on 24th January when the draw carried on and 12 Teams classified into three groups for Copa America. Host Selecao – Team Brazil to meet team Venezuela and team Peru in the very first round fo the game in the Fixtures of Copa America 2019 group A.
Qatar is the hosting nation of the year 2022 Fifa world cup that is featuring in the Copa America tournament for the first time and it definitely has to see how they perform throughout the league. 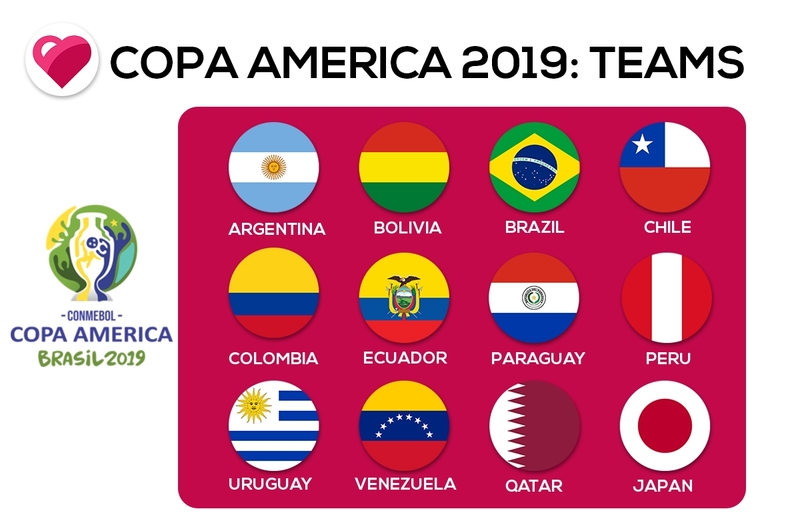 Apart from Qatar, Japan is another team that is invited for South American football tournament named as Copa America 2019. Team Qatar which is Drawn in the Group B and have to compete against the champions team Argentina, Two-time winners of Copa America tournament, team Paraguay and 2001 Copa America champions team Colombia all are in the same group. Qatar is about to start the Copa America tournament campaign by playing its first match against team Paraguay on 16th June at the stadium of Rio de Janeiro. Another invited team Japan is placed in Group C. In group C there are three other teams that are Uruguay, Defending champions chile and team Ecuador in the group stage matches. Total of 18 Matches will be played in 2019 Copa America Group stage while Quarter Final Match will begin from the 27th June. Two semi Final Matches are scheduled to play on 2nd and 3rd July while Copa America 2019 Final match is set to be hosted by Maracana stadium of Rio de Janeiro on 7th July date. How can you see the Live Streaming of all Copa America 2019 Matches? Copa America the most entertaining football tournament all around the world and Copa America 2019 live streaming is trending among the young fans busy in their office works. It is probably the third most watched football tournament after FIFA World Cup and UEFA Euro Cup. Thus, Live Streaming of 2019 Copa America matches attracts the viewers from all around the globe. Therefore, there is always a massive demand for free Live Streaming of the Copa America Championship. In addition to TV Viewers, there also exist online viewers as well who are looking for the online live telecast for free. Therefore, there are a lot of TV Channels for live telecast of Copa America that are showing live match of all the matches of Copa America 2019 edition all around the world as well as much online live streaming. Same way, the free live streaming will also be available that can benefit football fans all over the world. We are here to provide you all the information that can help you in watching Live Streaming of Copa America 2019 Tournament. Where Can You Watch 2019 Copa America Live online for Free? Football fans of team Argentina can watch live telecast of 2019 Copa America football tournament on TYC sports and TV public while Brazil fans get the live action of this Copa America 2019 football tournament on Rede Globo and Sportv. Fox Sports Australia broadcast Copa America Centenario live coverage in Australia country. 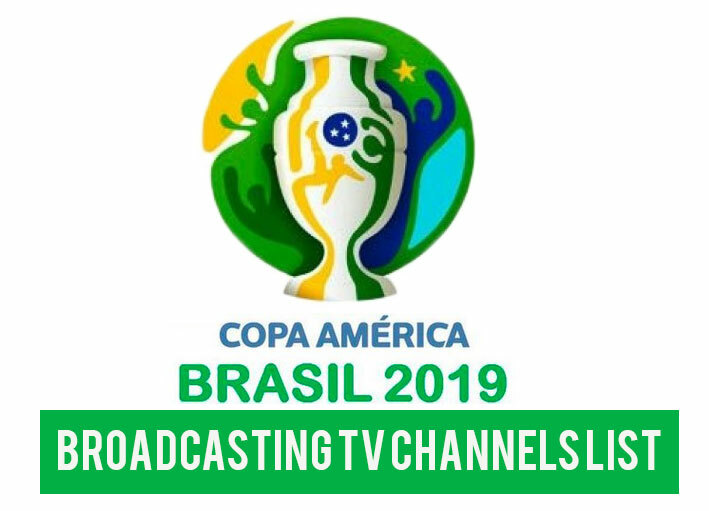 France Televisions, beIN Sports, Canal+ TV channels are the official broadcaster of Copa America 2019 Live streaming of France country. Where to Watch Copa America 2019 Full Live Score Coverage? Now a Days in the digital world so many online sites are coming up with the latest news and updates related to Football Sports and many of them shows the Copa America 2019 Live scores full coverage with commentary for All Matches of the tournament and that just for free. The most popular websites always provide real time updates and live score of the matches. for E.g – soccer24, goal, ESPN, Whoscored, livesoccertv etc. You may also download the mobile apps from these type of websites and install it in your smartphones or directly visit their site to see the live score coverage. So,don’t miss any moments of South American Football Events like 2019 season of Copa America . Other Than these sites you can also enjoy the live score updates directly on the search engines like Google, Bing and Yahoo. They have the live score and updates of each and every games. so just type on your browser Copa America live score etc and get the latest goal and score details on your Figure. 2019 edition of the Copa America Tournament is going to be held in Brazil and it will be the best in its history with a total of 12 teams participating from two regions and the winner will receive not one but two trophies. 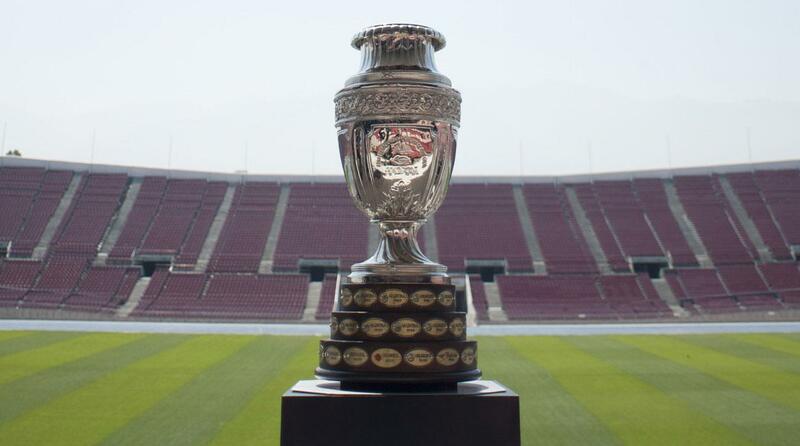 The Earlier trophy was designed back in 1916 by Argentina’s jewelers and it was used till 2007 followed by a new version released for 2011 Copa America inspired by the original trophy. Over the past few years, underdog teams have performed very well and surprised everyone with their performance, such as Chile and won the back to back Copa in 2015 and 2016 and Portugal won the Euro Cup 2016. And, Croatia is also reaching the final FIFA World Cup 2018. So with some occasions, these underdog teams will perform very well in Copa America 2019. If we mention the name of the last winners of Copa America, then Uruguay is at the top of that list with 15 Copa America Winners titles. After team Uruguay, Argentina is in second place with 14 wins. Brazil also won eight times and got third place in the list. In some other countries like Paraguay, Peru, and Chile, there is also one title. And Colombia and Bolivia both live a single time. Know everything about the Copa America Winners So far since the first tournament in 1916. 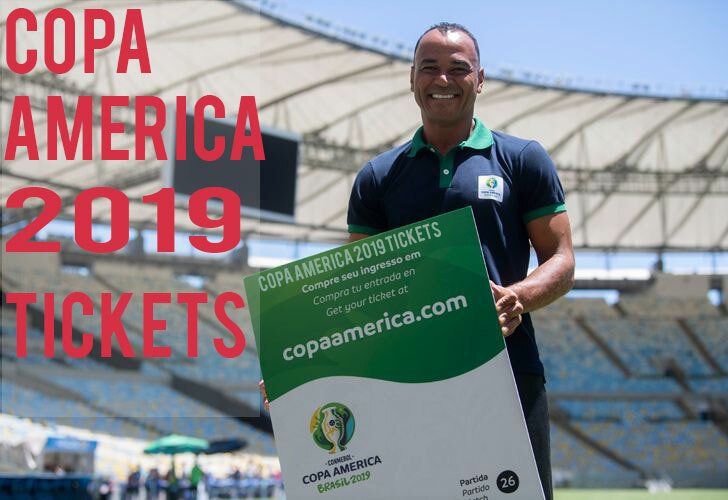 The Copa America 2019 Brazilian ticket sales for 26 matches began on Thursday, January 10, 2019, with prices starting from 60 Reyes ($ 16.20). The initial batch included 228,000 tickets, the website was sold at 6 pm at the website copaamamica.com. The total cost to watch a game in the tournament, which will be from June 14 to July 7, 60 and 890 from Brazilian Real ($ 16 to $ 240), and a total of 770,000 tickets. Ergarto Guimaras, the Director of Operations earlier issued a statement that the COPA is looking forward to a high presence in 2019 while considering almost full stadiums in Brazil during the organizing committee World Cup 2014. Conmebol association has declared a new partnership with Master card for three years that covers multiple tournaments planned by the soccer body South Americans. following the terms of the deal, MasterCard is now the official payment services partner and contact-less payment brand for the Copa America 2019 and also Copa Libertadores through the year of 2022. This deal marks the 12th frequent edition of the Copa America tournament where MasterCard has been an official partner and its very first involvement with the Copa Libertadores. The collaboration might see MasterCard facilitate transactions across the both tournaments, including the tickets purchase, the payment of transportation to the stadium and also the purchase of food at venues. Copa America will be in 2019 this year in five different cities in Brazil. The Copa America 2019 will begin on 14th June and will end on July 7th. 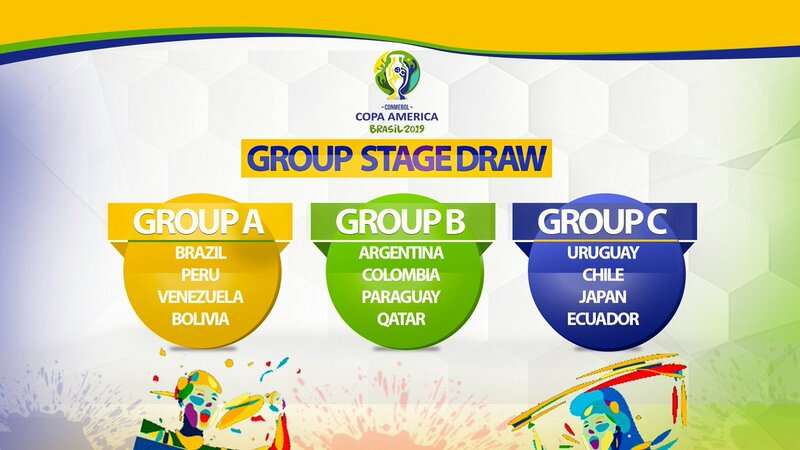 Copa America is a quadrangle tournament and organized by CONMEBOL of South America. It usually involves many countries outside the union. This year, we have 12 nations competing with each other. Current champion team, Chile Two powerful teams named Host Brazil, Uruguay, and Argentina. And two invited people named Qatar and Japan. There are favorite teams from Argentina, Brazil, and Uruguay. However, he did not perform for this performance in the 2018 World Cup. Last champion Chile was also unsuccessful. After facing England, Columbia was also out. Ecuador, Peru, Venezuela, Paraguay, Certainly Copa America and some of the largest fan bases in the world. However, they are all very strong and they are aiming for the trophy which is currently in Chile. Argentina wants to be champion, so they are determined to win. This year’s edition is Japan and Qatar, and these two countries were in the Asian Cup final in January but Qatar won 3-1. This is Japan’s second appearance in the Copa América, while Qatar Kopa is launching its first Arab nation in America. Japan is an outsider at the moment, but given its performance in the Asian Cup in 2019, teams such as Chile, Ecuador have been given very tough competition. , And Uruguay, because, Japan played well in the World Cup 2018 and won against Colombia. Ultimately losing to Qatar by 1-3 might damage Japanese prestige, and his coach Moriuu announced that his goal would be for the Copa America 2019. Now, about Qatar, how they crowned Trophy, Argentina, Paraguay, and Colombia. Hate them. And perhaps most, because in these countries there is a very negative stereotype for Qatar, the result of its large lewd dispersion, and the historic encounter between South American and Gulf teams has always ended mostly in the South American side. 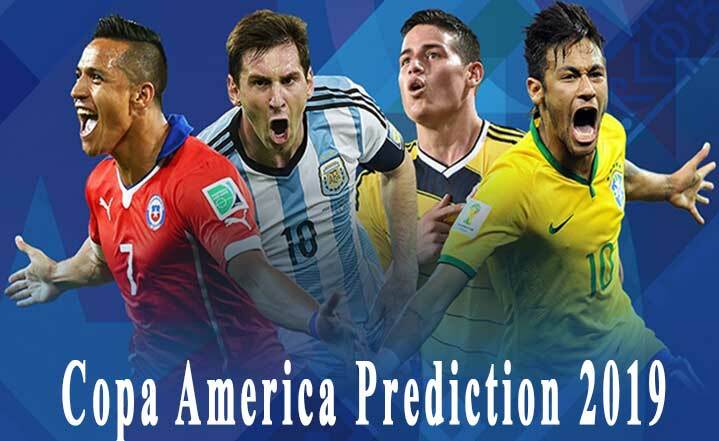 Copa America 2019 Winner prediction of all the team is been analysed by our team and we would love to share that with all our readers. Copa America 2019 Schedule is yet not announced by CONMEBOL. Official Copa America 2019 Draw on 24th January so comeback after that time to find out PDF fixtures of Copa America 2019 Brazil.